Whenever we talk about Ramazan, names of dishes like pakodas, dahi baray, chola chaat tag along, for iftar. Now it's still to discuss how healthy they are, but for skin, some of the ingredients do work as magic! 1. Gram flour (besan): Besan is more than just a core ingredient for pakoras. It does wonders for your skin and hair! One of the vital benefits of besan for your skin is that it acts as a natural de-tanner. A mask of besan, yogurt, turmeric (haldi) and lemon is just what you need to defeat the uneven tan summer leaves behind. Besan is also amazing for your hair! Mix it in with olive oil for a healthy hair mask to restore shine and encourage hair growth. 2. Chickpeas (chanay): Apart from having them in chola chaat, take advantage of the nutrients in chickpeas and make yourself an anti-ageing mask. Chickpeas are loaded with fibre and special substances like manganese that help in the reduction of wrinkles, so just boil some, mash them up and add water to make a paste. The mask fights both wrinkles and age spots. 3. Yogurt (dahi): Yogurt is one of the obvious names on this list. It is full of probiotics and helps combat a majority of skin issues. It moisturises, fights acne, prevents premature aging, relieves sunburn and reduces discoloration. Just whip it up and slather it on to your skin. Combine it up with other ingredients such as honey or rose water to get even better results. It is also good for hair. Just infuse it with a thick oil and let the mask get rid of dandruff, sooth itchy scalps, nourish hair, provide shine and much more. 4. Tamarind (imli): Imli is not only delicious but also perfect for brightening up dull skin. Make a natural scrub with the pulp of boiled tamarind and adding in with salt (preferably pink or rock salt). Slough away rough skin and let the vitamins C and B3 give your skin that boost of a healthy glow. Tamarind is a little demanding in skin care, you should not use it raw as it can be too harsh for the skin. Boil it to the pulp and then use that on your skin. 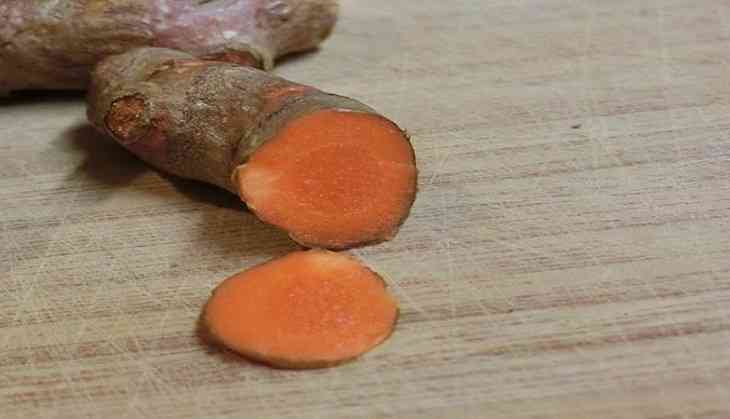 The boiled tamarind water is also great for oily hair. 5. Lemon (nimbu): While lemon completes more than half of your iftar dishes, it is also a natural astringent. Just slice up a lemon and rub it on your skin. It brightens skin, removes tan and gives your skin a fresh and replenished look. For those with sensitive skin, take out lemon juice and dilute it with water or even green tea. Also, lemon serves as a great deodorant. It's really hot these days, just spray on some lemon water, which fights the odour-causing bacteria. 6. Honey (shehad): Honey has antibacterial properties, which means it's great for all skin types but a necessity for those with acne prone skin. It works wonders even alone and is commonly used as a base for many masks. Since it is a natural ingredient, you can trade in your sleeping pack for it instead and wake up to fresh skin. 7. Oatmeal (Daliya): Oatmeal or porridge is a great alternative for the health conscious during iftar but it's also miraculous for sensitive or irritated skin. It's fairly simple, if you have any porridge left over, just slather it on your face. The texture of porridge is already perfect for a natural beauty mask. It is also great to counter redness and inflammation.